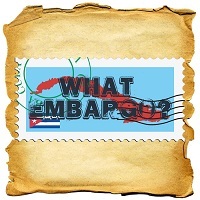 On What Embargo?, Episode Dieciocho, Catfish and Big Tuna spend some quality time with the boys from Blind Man's Puff and talk about some blind Habanos they reviewed. Join Catfish and Big Tuna as they fail miserably in identifying these smokes, one a complete surprise and the other a very well aged smoke that would fool everyone. As always listen to the crew talk all things Habanos with the Blind Man's Puff and hear some favorites of them all.